Photographed sometime between February 1965 and June 1968 LMS Class 5 4‑6‑0 No. 45260, in respectable external condition, awaits its next call to rostered duty in the yard of its home base at 9K Bolton. Note the phalanx of water columns in the right of the frame which was a common sight at depots in the Manchester area. Photograph courtesy of the A. Wakefield collection. A timeless scene from a happier age – or is it? The answer is no. In fact it is the end of the line as we knew it for BR steam. The date is 11th August 1968. Standing side by side outside the running shed at 10D Lostock Hall are Nos. 45305 (in light steam) and 45388 (dead). Thankfully No. 45305 is still with us today. 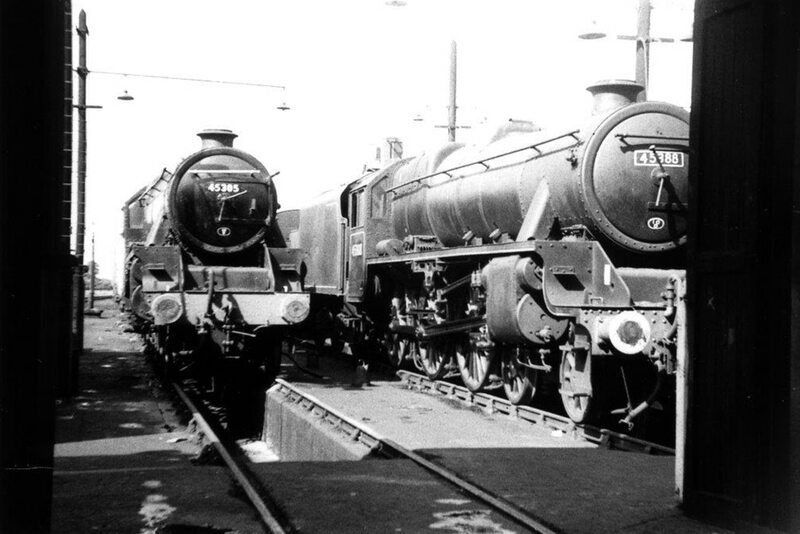 Two freshly overhauled LMS Class 5 4‑6‑0’s, one of which is No. 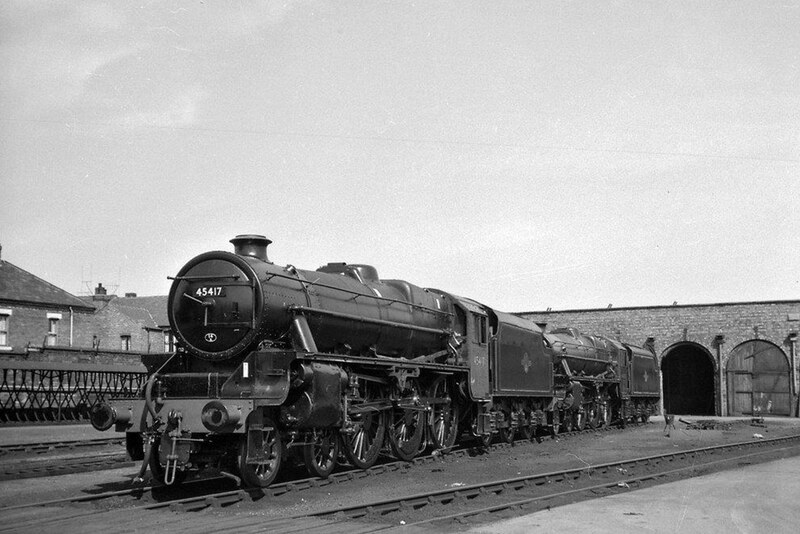 45417 (14A Cricklewood), look resplendent in the bright sunshine outside the paint shop at Crewe Works around May 1963. For many years on the books at 6H Bangor No. 45417 ended its revenue earning days in the less‑than‑inviting surroundings of 8C Speke Junction. Note: There are no known additional amendments or queries appertaining to the disposals of the LMS Class 5 4‑6‑0’s Nos. 45200 to 45499, but any information to the contrary will be welcomed as would any confirmations or otherwise of the verifications required.